As the world redesigns and rebuilds in the face of economic and ecological crises, unprecedented numbers of architects are out of work. What does this say about the value of architecture? That is the question that confronted architect Eric Cesal as he finished graduate school at the onset of the worst financial meltdown in a generation. 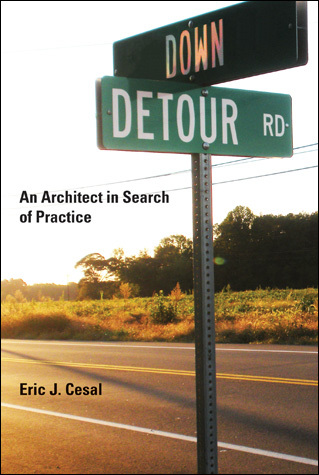 Down Detour Road is his journey: one that begins off-course, and ends in a hopeful new vision of architecture.